A friend of mine saw this picture of me recently and thought it was the best selfie of me he’d ever seen. 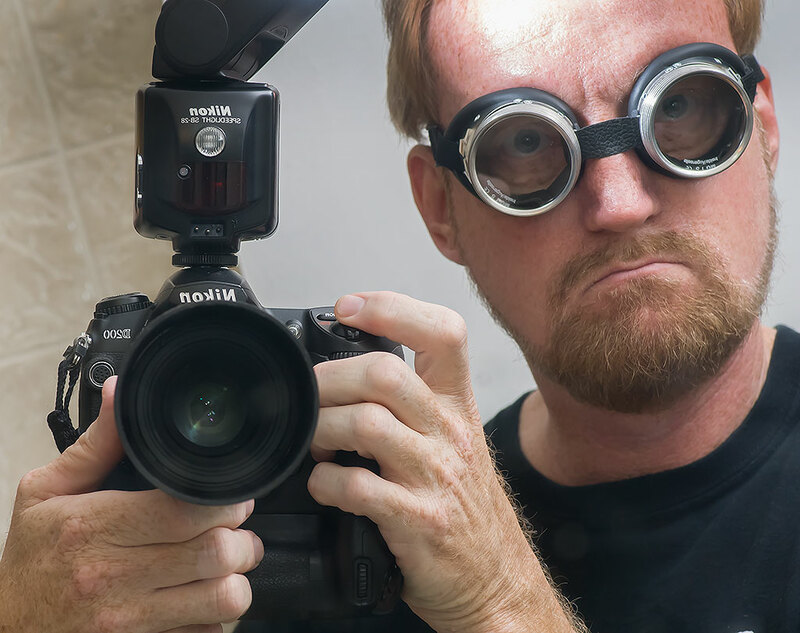 Abby gave me these goggles, which have several interchangeable lenses, for Christmas. Readers will recall that for much of 2016, I had a physical epiphany of sorts: working hard outside became one of the most productive activities in my life. I chopped, cut, shoveled, hammered, sawed, dug, moved, built, painted, sanded, carried, and assembled something every day I could. It was good. I got a lot done. I felt stronger. It was satisfying. Then, Christmas came, and with it a head cold. The weather turned sharply colder. Between Christmas and New Year’s Day, I got the house in shape and took down all the Christmas stuff, which is certainly work, but as January arrived we were hit by a couple more cold patches, and I developed a somewhat serious upper respiratory infection. I was amazed and a little unsettled by how quickly and grimly all the Christmas lights and trees disappeared after this year’s holiday. I hate to say it is a symptom of the unease about our nation’s political situation, but I can find little else to explain it. So it seems from my chair that my life has come to something of a stop. I know it will start again, and I already have ambitions on the horizon (like getting the garden planted in March), but another round of weather just rolled in, cold and wet. Abby had a nasty fall Thursday (ask her about it directly if you want to know more). I’m feeling down about it all. On the other hand. I am feeling better, as is Abby. The sun will come out one of these days. Politics are never permanent. 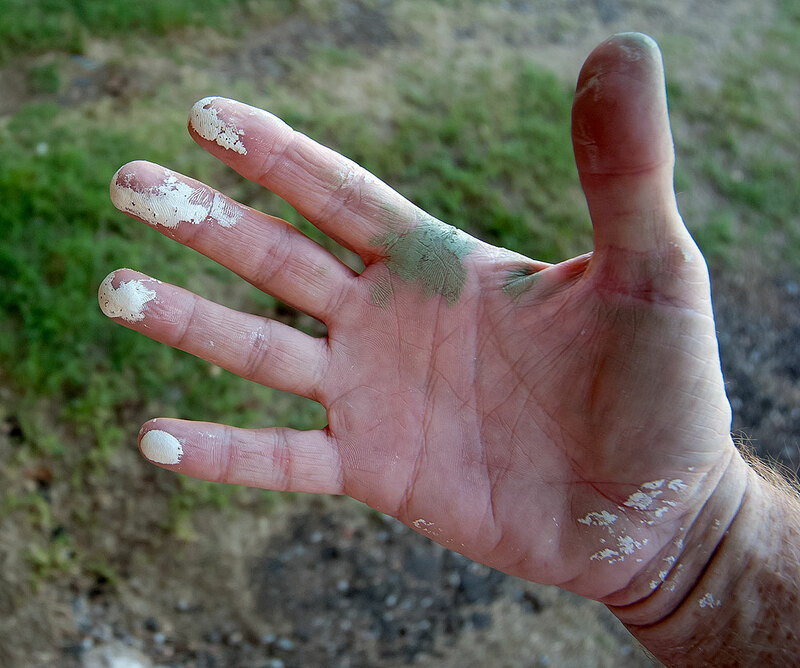 These hands will paint the porch and repair the siding and tend the garden. I am young and strong. Now may be the full stop, but it will move again. Primer and top coat paint sticks to my hand last September when I painted the decks and porches. It felt incredibly productive and purposeful. “Got a lot done” — potential epitaph for someone. I heard your words in my head last night (took down the tree and such) and today (started cutting back and composting all the dead frozen plants). It helped, but my pecs hurt! I’m not sure how I overlooked this, but nice piece, and I hope you guys recover from all that ails you. Wish I were 1/10th as productive.